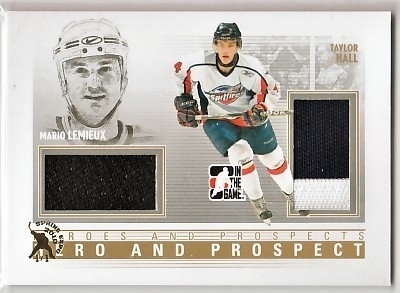 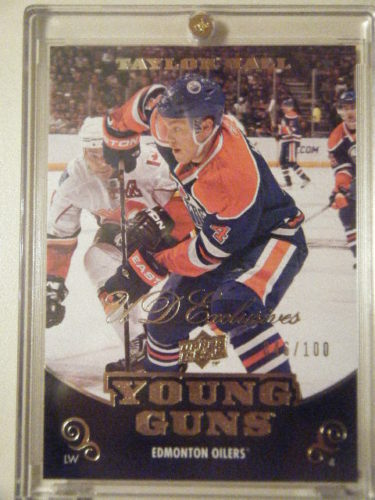 A "virtual card show" is basically our excuse to put together a gallery of cool card pictures from eBay featuring one of the hobby's hottest players. 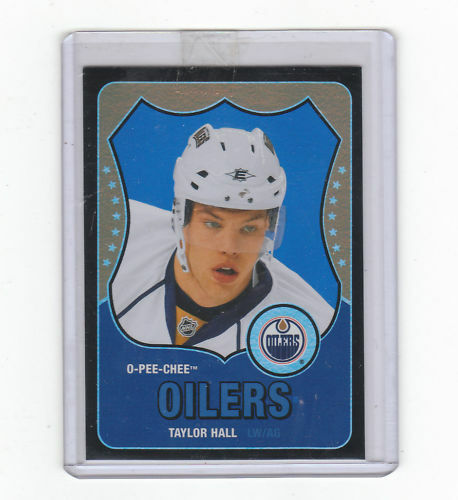 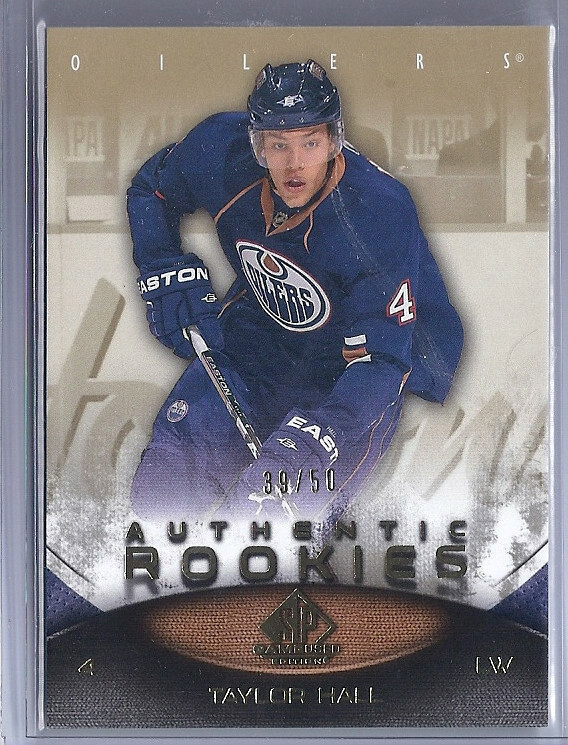 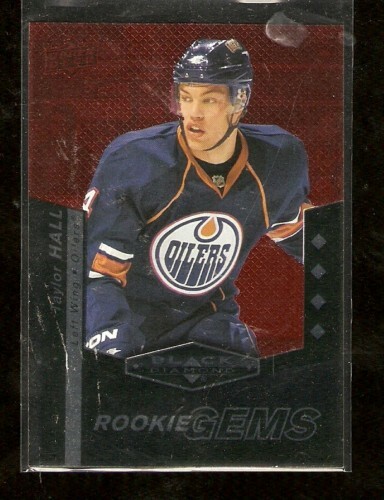 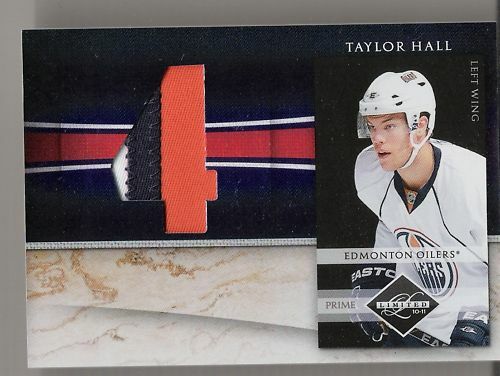 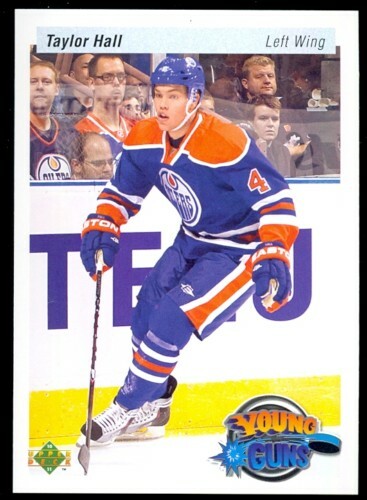 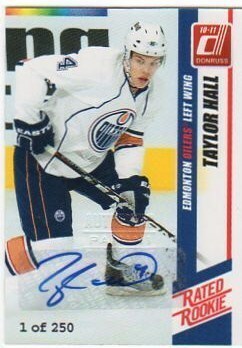 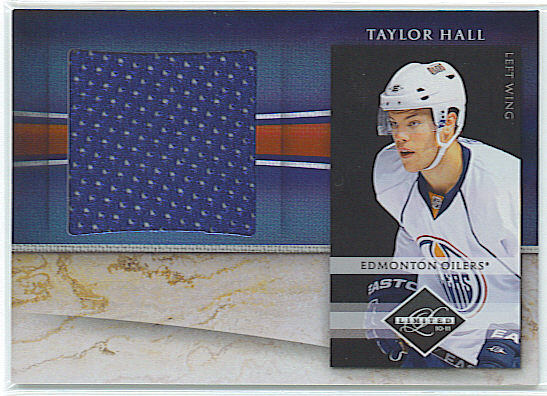 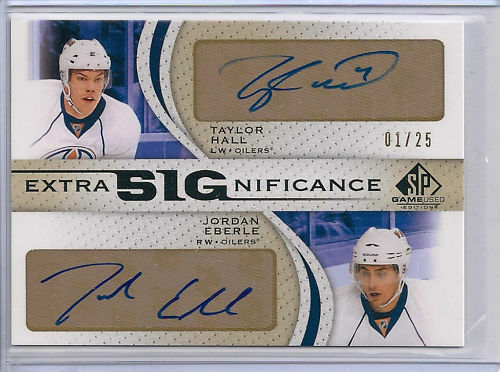 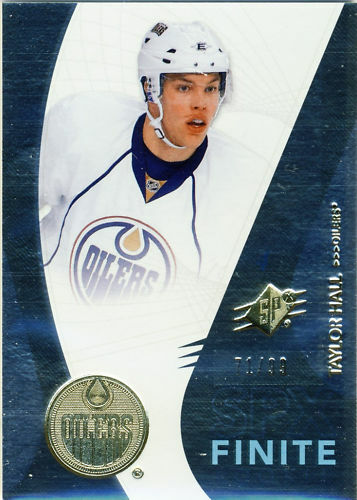 Our latest virtual card show features a random mish-mash of intriguing pictures from one of the hottest hockey card forces on the planet - Edmonton Oilers rookie winger Taylor Hall. 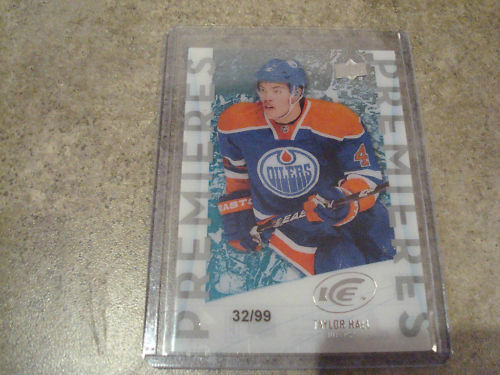 Might have missed out on this guy, prices are out of my league. 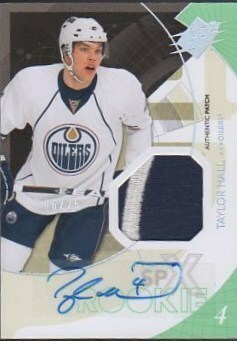 Maybe when the seasons done they might go down? 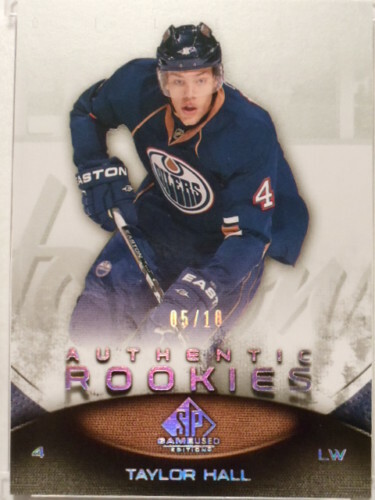 I did stock up on a lot of the SPX auto jersey cards of Stepan and Young Guns cards of Bobrovsky, Skinner, Kadri, Lindback and Subban, maybe i will have to forgo an auto and try to get a good rc. 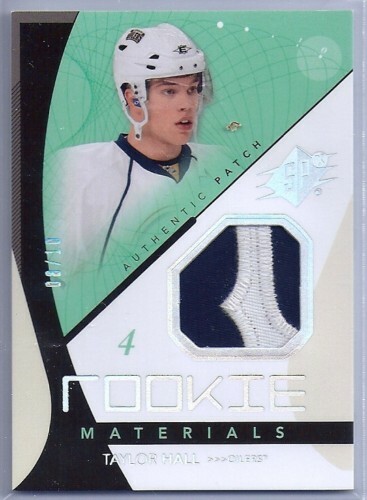 @Jeff: Yeah, but there was no real chance to get in on him at a decent price due to the fact he was #1 pick. 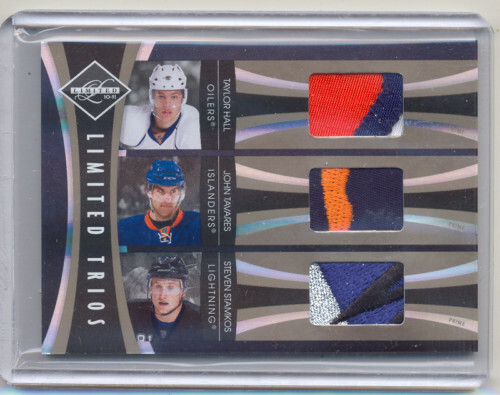 I would just forgo getting one unless the right one at the right price comes along. 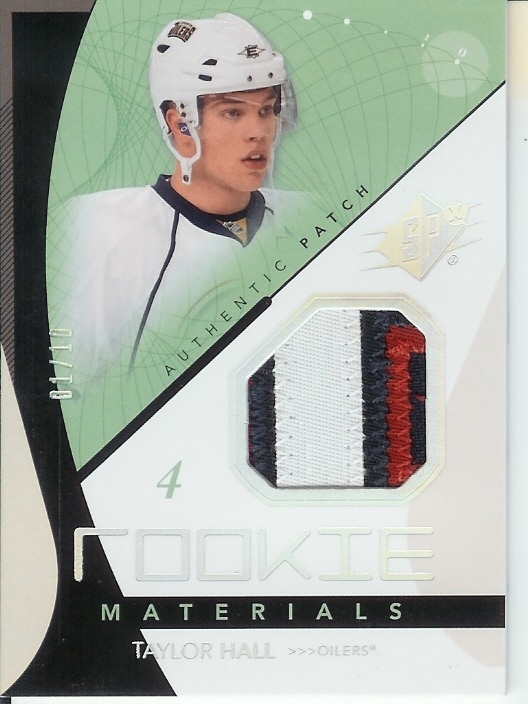 Well i had a chance to buy a Sidney Crosby The Cup auto in ’05-06 cheap and i hate missing out! 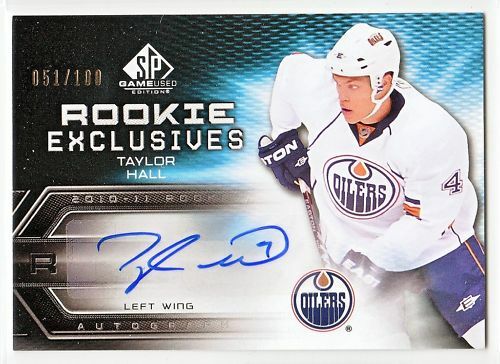 I keep an eye on the charts and there are other guys in the top ten that are affordable but i will keep looking for a Hall auto. 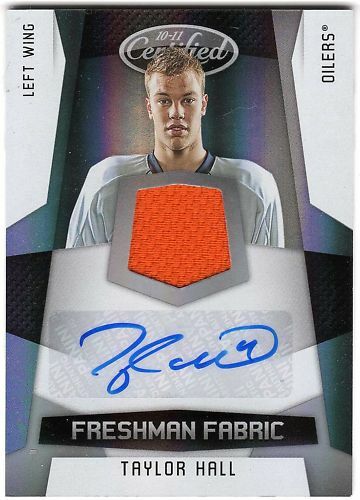 I don’t usually pay attention to Basketball but i picked up a few auto’s that were on your new list today, keep up the good work.